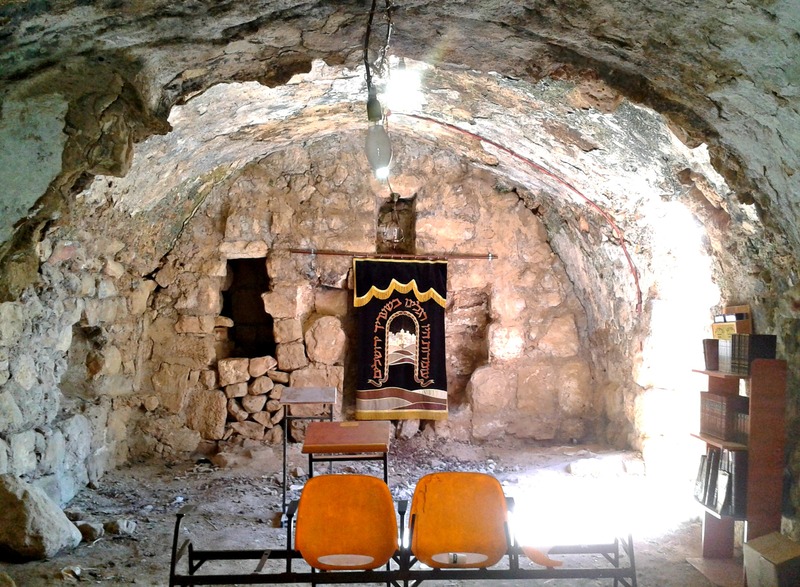 I thoroughly enjoyed driving the narrow, winding Old City streets and then passing Me’arat HaMachpelah (Cave of the Patriarchs) where key Biblical couples such as Adam & Eve and Abraham & Sarah are buried – a place I have not yet merited to visit. 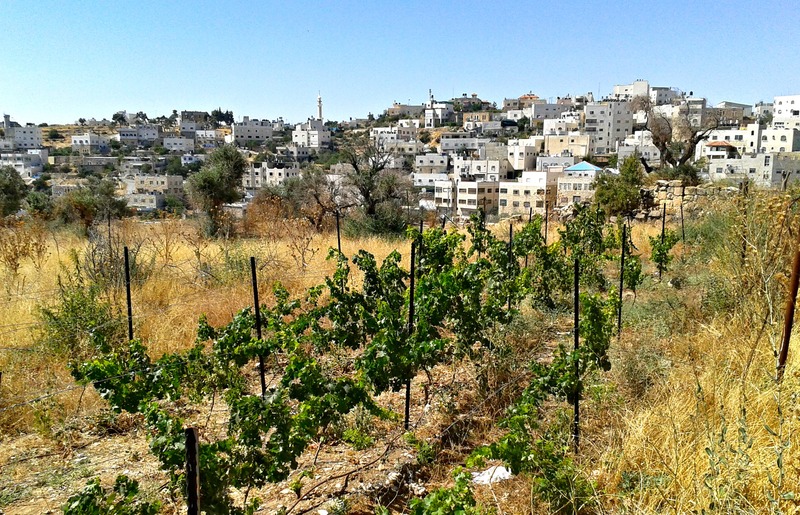 Continuing on down al-Shuhada street, we then turned up Tarpat street towards Tel Rumeida – where some antiquities and some Jews can be found. The first thing I noticed were the signs and the excavated ruins beside and beneath a housing building. 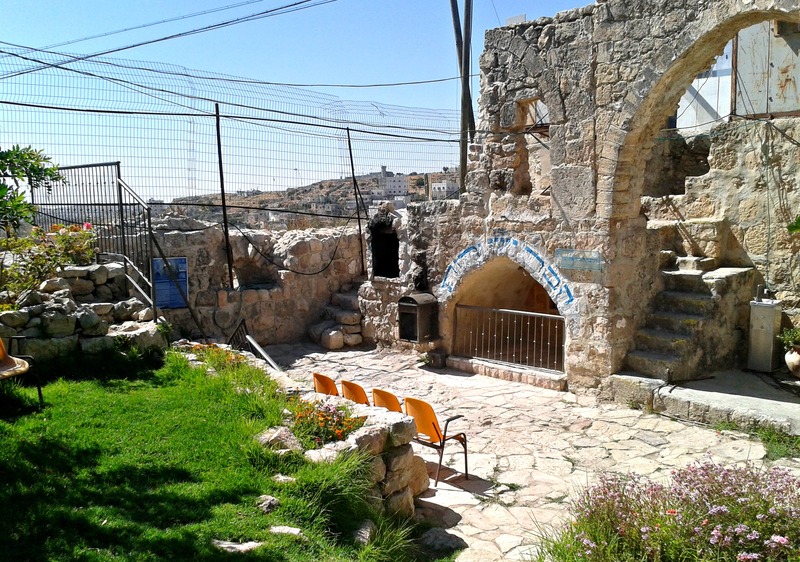 Tel Rumeida is what’s left of the Biblical Hebron – a very important city in Judaism and King David’s first capital city. 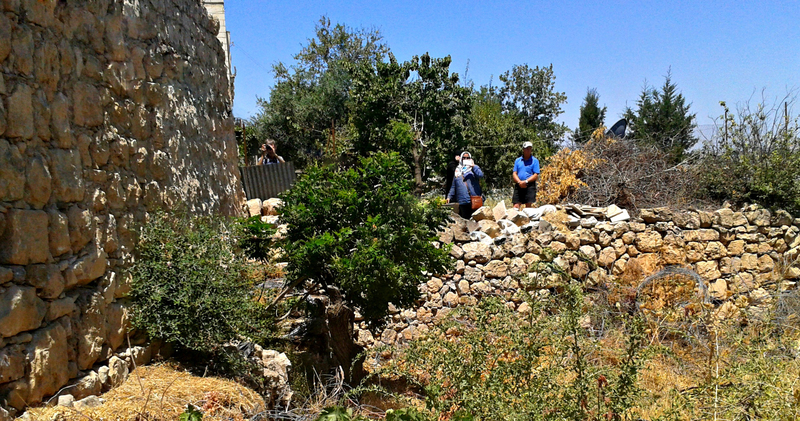 King David’s own father and great-grandmother, Yishai (Jesse) and Ruth, are even buried locally at Tel Rumeida. 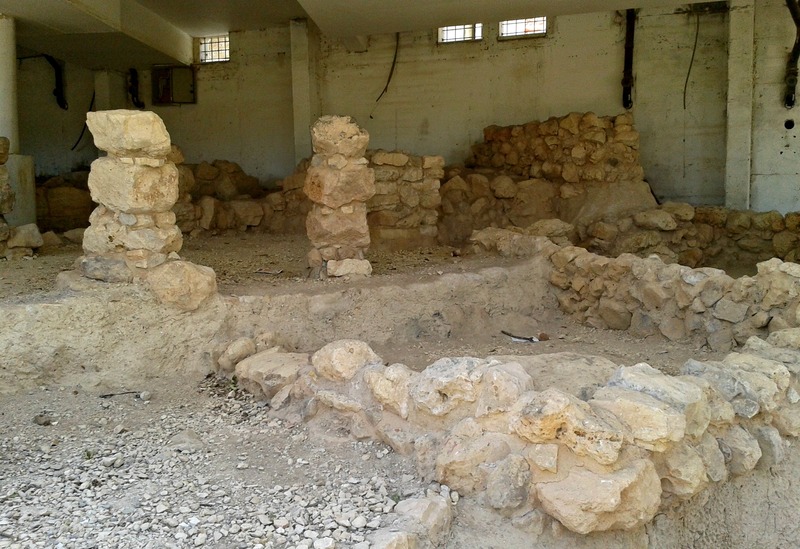 Excavations began in 1999 and the findings are remarkable: a huge wall built some 4,500 years ago, another wall from some 3,800 years ago and ruins of the ancient city with remnants from the times of the Kingdom of Judah and the Second Temple period. Beside the tomb pictured above, there is the ruins of an ancient synagogue and unlike any other ruined synagogue, this one is being brought back to into use, which is smart. 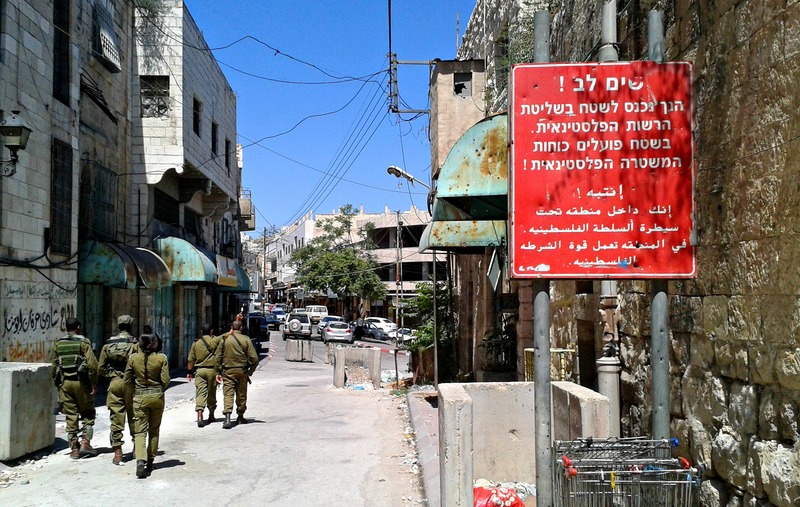 It felt really strange entering the Palestinian controlled area, passing the sign warning that Palestinian police have authority. We walked to the next junction and stood as spectators as the senior officers talked. 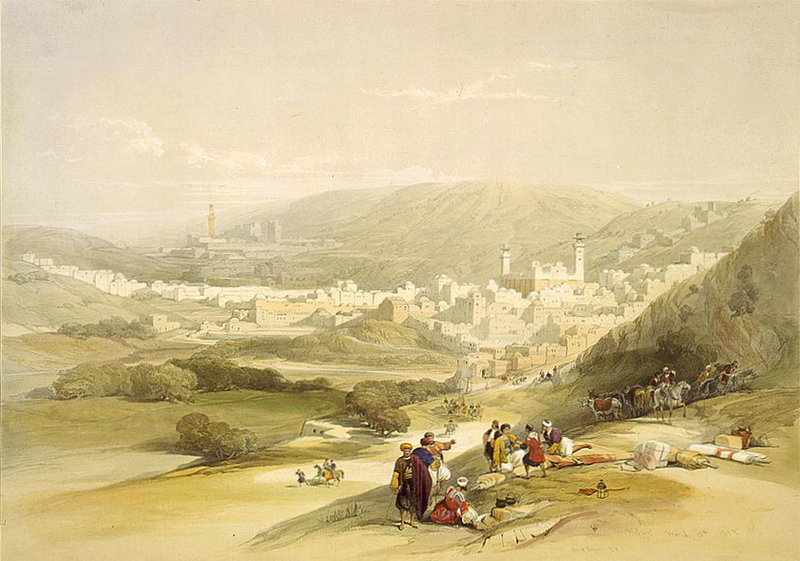 I peered into a grocery store, watched traffic, spied a butcher blow-torching chickens, having a very Arab experience. 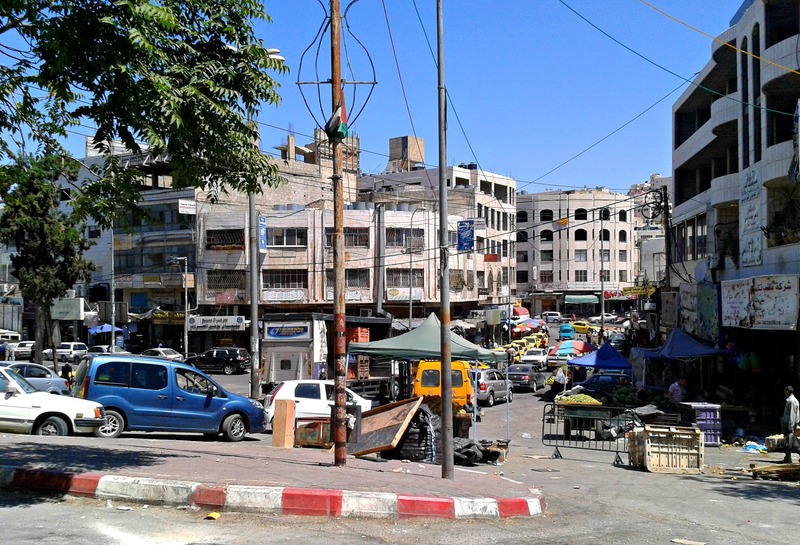 I felt like I was a tourist in Egypt or Syria – but with an M16 at my hip – I didn’t spot any Hebrew anywhere, nothing glaringly Israeli. Suddenly an old man in traditional Arab garb and headpiece, with a cane gripped in his right hand, walked by and stopped by the senior officers to pay respects. I heard Arabic mumblings and then the officers wished the old man a “happy Ramadan” and away he shuffled. 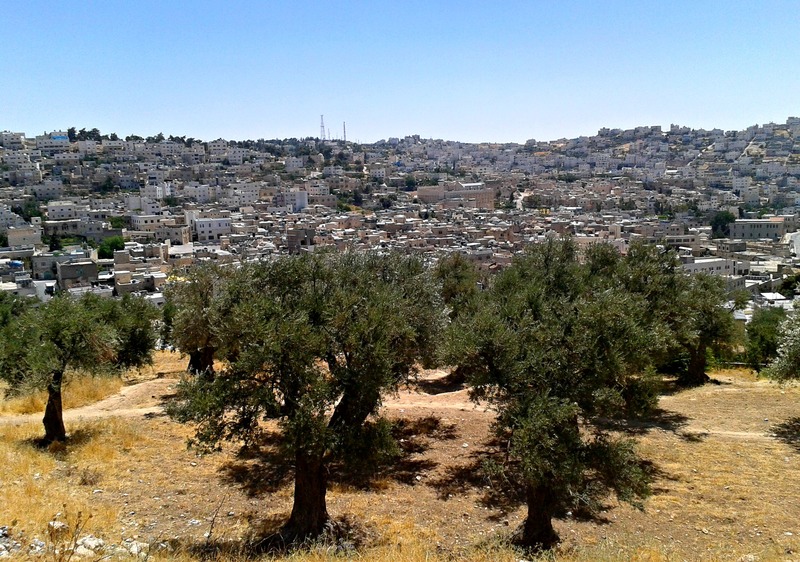 I then found the lookout to Me’arat HaMachpela, in a grassy plot with some olive trees, and I gazed out at the world’s most ancient tomb – so close yet so out of reach (at the moment in my day). Exploring from a different approach up the hill, I stumbled upon the Antiquities Authority’s latest excavation but unfortunately it was gated and locked and there was nobody there for me to sweet-talk my way in. 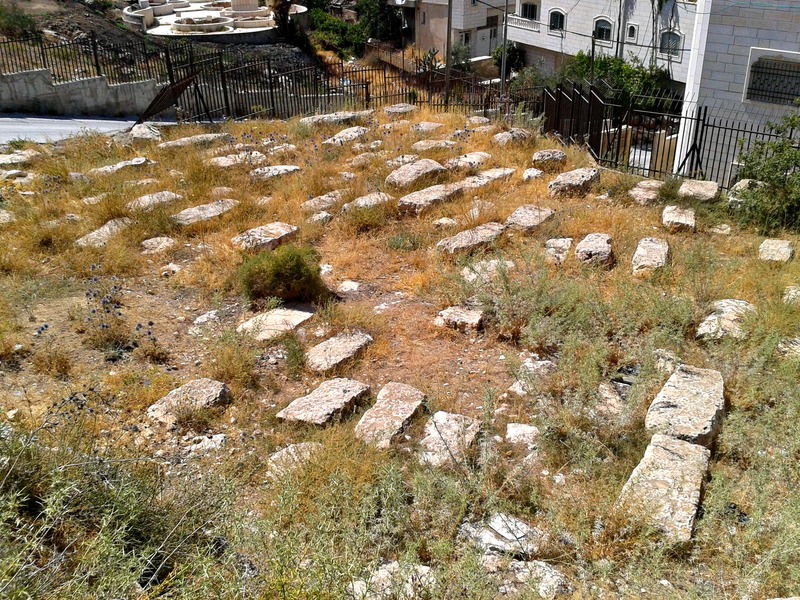 But while I was there, walking on a dirt path towards the al-Arba’in mosque, I found myself looking down on the ancient Jewish cemetery which had been in use for hundreds and hundreds of years until 1936 when the local Jews were evacuated by the British.